Opportunity Zones enhance economic development, historic preservation and environmental rehab throughout the state. From Rabun County in the mountains to Cairo at the Florida line, Georgia has be-come the Land of OZ, the acronym for Opportunity Zone, the hottest thing going in economic development right now. There’s every indication the movement to OZ will soon be a stampede as the OZ designation continues to attract new businesses, new jobs, building restorations and improvements. Accord-ing to the latest data provided by the Georgia Department of Community Affairs, from 2008 to April 2013, 4,569 building permits were issued in the state’s 93 – and growing – Opportunity Zones. At the same time, 13,167 business licenses were issued in the OZs, while 3,058 jobs were created and public and private investment exceeded $554 million. The Opportunity Zones also saw 352 new businesses open their doors. Opportunity Zones can be had by any community willing to get the ball rolling by creating an urban redevelopment plan. There are close to 100 OZs in Georgia, with perhaps dozens more pending. Their numbers are swelling because they work, not only for economic development purposes, but also for environmental rehab, historic preservation and crafting entertainment districts. OZs are like Swiss Army knives, functioning as a tool with many purposes for economic developers. The OZs are sanctioned and approved by the Department of Community Affairs (DCA) after officials of the agency have examined proposals from communities in the state. Although there are specific requirements, in general, OZs can be shaped from areas that experience a 15 percent or greater poverty rate, a significant underdevelopment of property compared to the surrounding areas and a higher number of abandoned, deteriorated or dilapidated structures. In other words, areas that are ripe for reinvestment and revitalization but just need a second chance. One feature of the OZs is their ability to change shape and represent whatever is in the wishful mind of the beholder. But the feature most appealing to business owners in the OZs are the tax credits of $3,500 for each new job above two created. These credits for jobs creation are like cash to store owners and can be applied to their corporate and/or withholding taxes. And the credits can be used in a variety of other ways, as one Albany neighborhood saw recently. 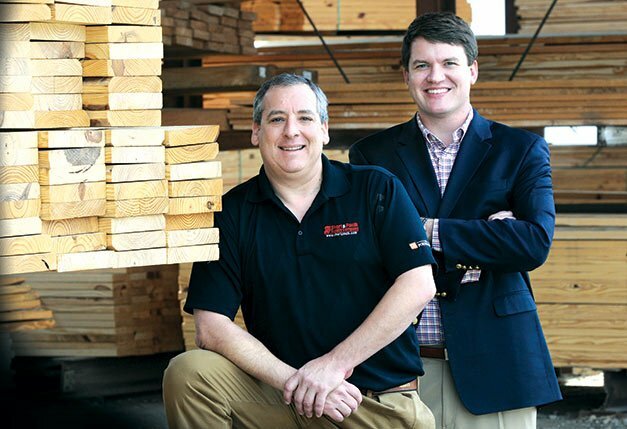 When Tifton’s Jay Short began scouting for another location for his growing number of building supply and hardware stores, he thought Albany might be just right for the next link in his chain. “A lot of the retail trade in Albany is out by the mall, and we saw two things here,” says Short, president of Short & Paulk Supply Company, which has a presence in Southwest Georgia spanning more than seven decades. “First, there was not a hardware store in downtown Albany, and there was a need we could fill.” But the location he liked included a building that had seen better days. There were repairs to make, a significant expense to be sure. But the building was sitting in an Opportunity Zone, and the 19 new jobs introduced at the new store were as good as gold for Short. “The Opportunity Zone helped us with some job tax credits to do the work and make the investment we were going to have to make in this building, and we had a significant investment to make,” Short says. In this case, tax credits were cash savings used to improve a business and help revitalize a piece of the community. As is often the case, that initial investment has jumpstarted more interest in the area. Just across the street from Short’s building is a recently opened Walgreens, and another new business is rising from the ground. A former car dealership a few blocks away has been razed and the site cleared to make ready for the next business on the site. “There is a Shutters Plus right down the street that has cleaned up,” Short says. The neighborhood has a new name, Midtown, and Short says he likes being there. In Macon, Opportunity Zone boosters believe if you restore it, the jobs will come. The city is using 11 OZs to help return the downtown to its former status as the heart of retail activity and home to the community’s professionals corps. W. Keith McNeely is the former de-partment director for housing and community development for the Athens-Clarke County Unified Government, where seven Opportunity Zones have been fashioned from an urban development plan developed by the housing de-partment, with assistance from the Northeast Georgia Regional Commission. “The first part of that plan was an Opportunity Zone,” McNeely says. “We decided that because with Athens-Clarke County being a Tier 1 county, the benefits of the Opportunity Zone would pretty much mirror [existing] benefits businesses would receive for being in a Tier 1 county.” (Numbered Tiers are county rankings that measure wealth, with Tier 1 counties among the poorest in Georgia and Tier 4 counties among the wealthiest.) McNeely says initial interest in his community from the business community has been high. “We’ve had some activity in the Opportunity Zones, particularly along the Atlanta Highway and West Broad corridors. With the improving economic conditions, I would forecast we would be seeing more activity that will result in actual brick and mortar redevelopment,” he says. “Retail businesses drive a good part of our economic success here.” McNeely says the jobs created in the Opportunity Zones must see at least 35 hours a week and salaries must meet a minimum of just under $22,000 a year to meet the job tax credits criteria for business owners to receive the benefits of being in the OZ. Sometimes the OZs can work in concert with other government-managed programs that are also designed to create jobs and private investment in distressed areas, according to Stafford. “Main Street programs, for instance, have created a total of $3 billion in public and private investments since the early 1980s,” she says, referring to the national restoration and revitalization effort favored by many small towns. “We’re the only state besides Mississippi to reach that level of investment in our downtowns, and Mississippi got theirs because of all the federal investment after [Hurricanes] Katrina and Rita. Our downtowns created over 2,600 jobs last year, and that’s just in communities where we collect the data. But the Opportunity Zone movement is not limited to rural communities and smaller downtowns. Suburbia has embraced OZs with gusto, and none has done it more passionately than Gwinnett County’s Nick Masino, senior vice president of Economic Development and Partnership Gwinnett at the Gwinnett Chamber of Commerce. In Cherokee County, Opportunity Zones have resulted in regional planning, including a 3,800-acre zone that includes Canton and Ball Ground. “It was a fun process to work with both cities and the county planning officials,” says Misti Martin, executive director of the Development Authority of Cherokee County.